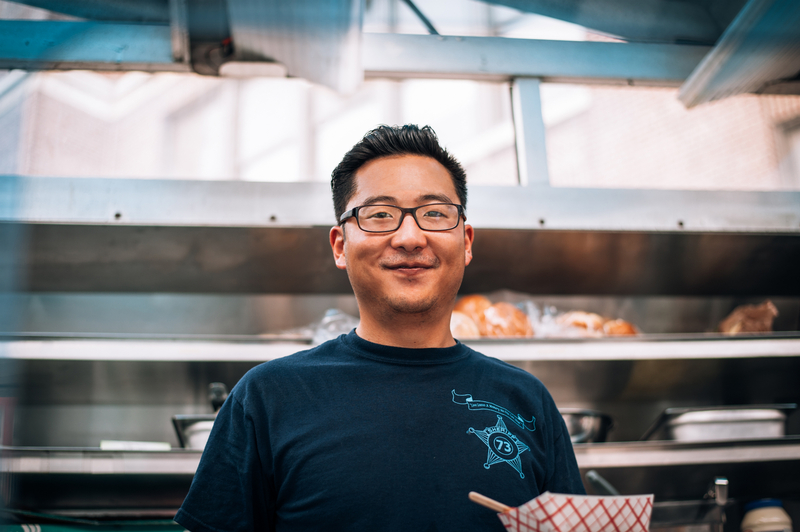 Recently I had the pleasure of meeting up with my friend, Dave Song of that badass Korean fusion food truck you see parked at all the happening locations around Philly. 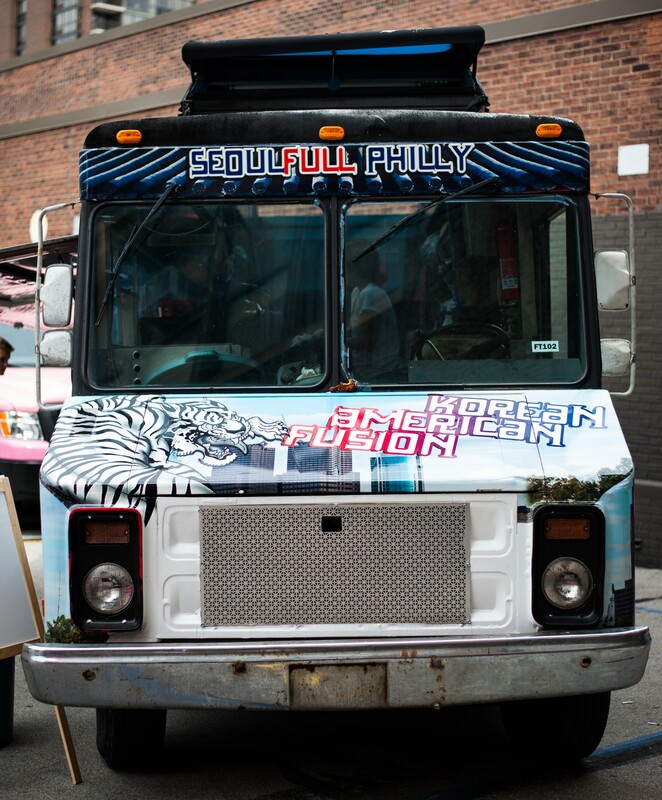 SeoulFull Philly Food Truck at Franklin Flea in Fitler Square, Philadelphia, PA. I first briefly met Dave at a friend’s cocktail party after I had just moved back home from Sweden. My friend introduced him to me as “the other Korean” at the party and “the guy who made all the awesome food,” which was gone by the time I had gotten there, so it must have been good. A few weeks later, I coincidentally came across his food truck’s profile on Instagram. Excited about the idea of a Korean-American comfort food concept in Philadelphia, I decided to make an effort to connect with him. A few comments and a new Facebook friendship later, we soon realized we had met before at our mutual friend’s party and the friendship quickly took off from there. When I met Dave, he hadn’t yet started up his food truck and I was fascinated to hear about his experiences throughout the process. I offered up some marketing tips to him in exchange for the occasional sandwich and some feedback on my little project. We met a few times over the summer and I have really enjoyed watching this budding entrepreneur bring his dream to life. A few months later, he is up and running and well, the food truck is doing great! I decided it was time to sit down with Dave and listen to his story. 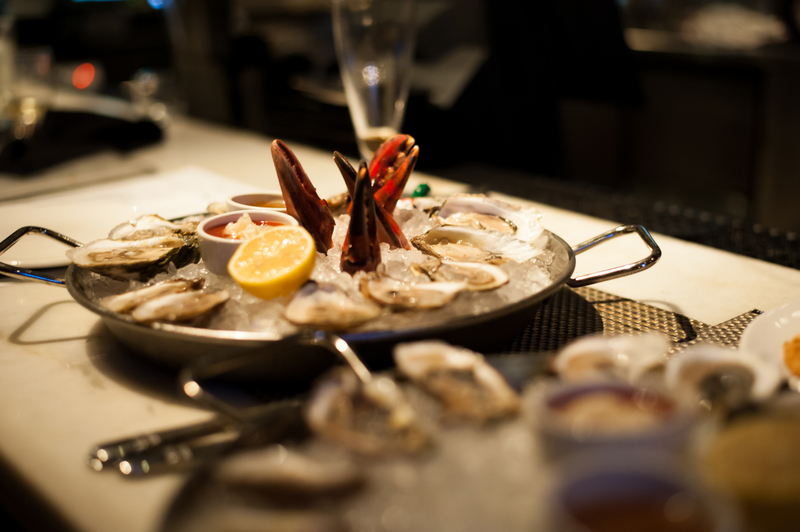 Late Tuesday night One Buck Shuck oyster happy hour at Devon Seafood Grill in Rittenhouse Square. Two seats at the bar, three dozen oysters, four $3 lobster claws, a beer and prosecco. Not too many better ways to spend a Tuesday night in Philadelphia. A dash of lemon juice, a dollop of cocktail sauce, a few drops of mignonette and a few shakes of tabasco and we begin talking. 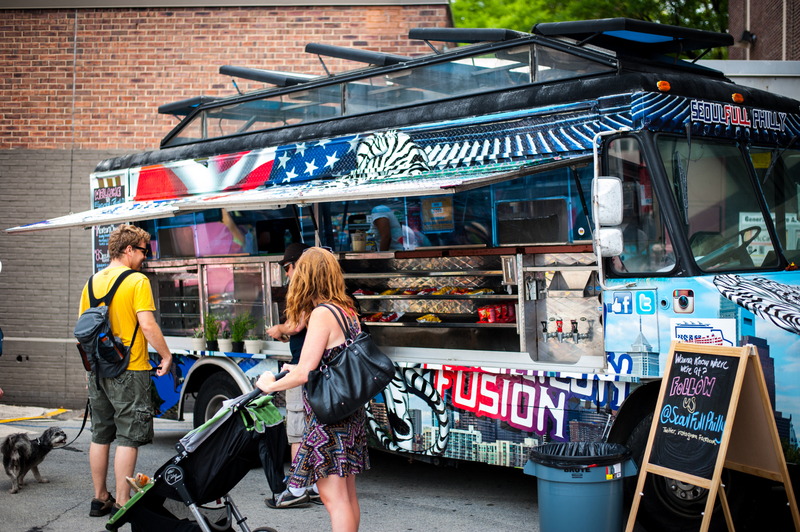 How does one go from finance to food truck? It started with Roy Choi. I saw his Korean taco trucks. I had thought about doing something with food and I saw how he opened up a lot of opportunities for himself. He’s a Korean guy, we have the same culture, similar upbringing where you are expected to be a “professional” of some sort. He took a semester at law school. I started out wanting to be a doctor because that is all I knew. Then I saw him start an entire food empire and some of the things I liked to do translated into that. So you were working at Campbell’s doing finance. What made you decide to take that leap of faith, quit your job at a reputable, comfortable company to start up your own food truck? Two things: I never wanted to do finance and had always found my passion in cooking. Second, I tried out doing a table stand at the Franklin Flea and tested out a potential business at low cost and it was received really well. That motivated me. 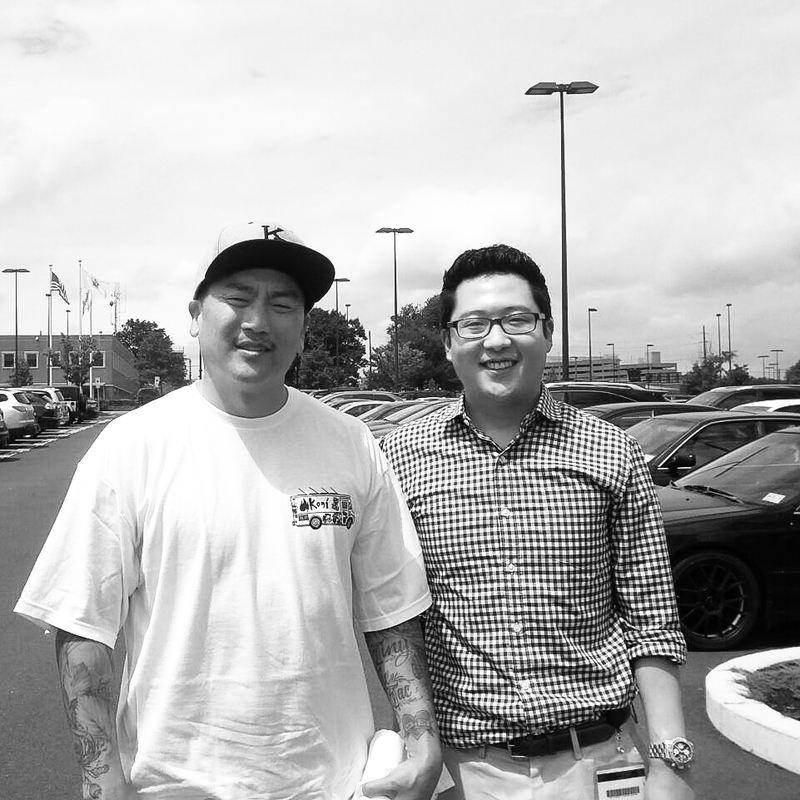 I selfishly brought Roy Choi to Campbell’s through the Asian network group to bring him over for a talk on connecting with consumers and social media. Obviously he’s one of the people at the forefront of the culinary world, so that’s also something great for a company like Campbell’s to see. I always intended on telling him what I wanted to do and I wanted his feedback. That’s when I decided to pursue the food truck. So your idol tells you to follow your heart, you take the leap of faith, you quit Campbell’s and start SeoulFull Philly. Can you tell me about the process? I started working on it in May of last year. Exactly one year after I met him, I officially gave a month’s notice (to be nice), and started the process to get permits, certifications, figuring out the menu, where I was going to procure my ingredients, setting price points..
What is the concept of SeoulFull Philly? It’s American comfort food with a nice little Korean flare. How did you land on that concept? She would tell me over the phone how to do it. I would check the internet and listen to her techniques and in some way, shape or form, I ended up with Korean and American ingredients in my fridge and I decided to mix both of them together. What do you call yourself? Founder? Executive Chef? I would never call myself a chef. I’m not a chef. I’m just a guy that likes to cook. I’m a normal guy that really likes to cook and wants to share that with other people. I would love to open up another food truck somewhere else in the States and I also have some ideas about going to Korea. What does “soul food” mean to you? Did you grow up eating Korean food in your house? 95% of the time my mom cooked Korean meals. What role did food play in your home? Food reminds me of visiting my grandmothers’ and them forcing food on me and me gladly accepting it. When I cook my BBQ beef for my cheesesteak on the grill…when I smell that, I know I did it right because it reminds me of family. Food was what gathered people. It was the emphasis on everything. It played the biggest part in my life in general, not just with my food truck. My fondest memories are around food. Whenever I smell these smells, I think of family. So yeah, I would have to say it played an important role. How would you describe a typical meal in your home growing up? Rice and kimchi, always, and then something different every day. Seafood, beef based soups, noodles. There was always something cooking. We enjoyed it as a family. When we were all living at home, we sat together as a family every night. When we visited grandma for a gathering, that’s what it was. It was about the food. We always ate together. What’s currently on your menu? The Cheesesteak Korean – Korean BBQ’ed marinated beef with sautéed kimchi, onions and whiz. The SeoulBQ Pulled Pork Sandwich – Traditional sandwich made with traditional American BBQ sauce and then infused with Korean flavors like garlic, ginger, onions (which I call the holy Korean Triumvirate of ingredients), korean chili pepper paste, some secret ingredients with a cucumber cabbage slaw. 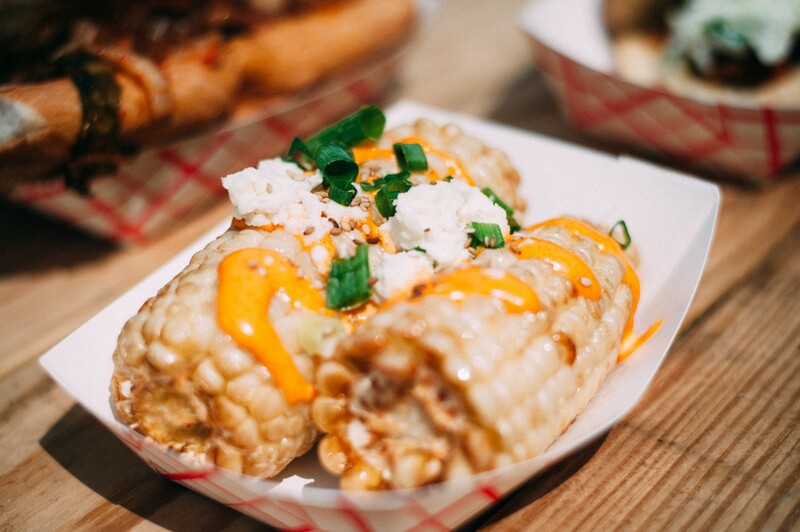 Corn on the Seoul – deep fried corn on the cob, no breading, with gochujang crema (Korean chili pepper paste creama) with crumbled cotija cheese, toasted sesame seeds and scallions. Kimchi Hot Dog – kimchi and onions on a hot dog. Awesome. The cheesesteak and pulled pork sandwich are about even. People get most excited about the corn and the cheesesteak. Where can people find your truck? I roam, but I will be establishing myself at Temple University Hospital. 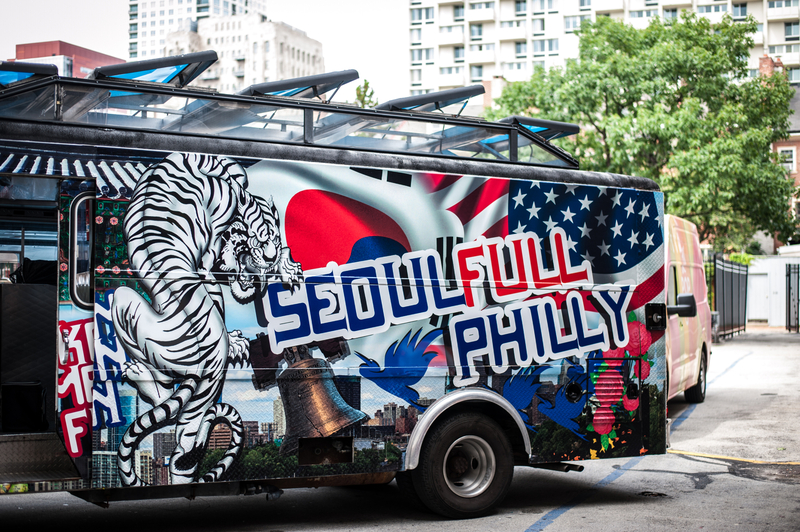 Why Korean fusion in Philadelphia? As I mentioned before, I grew up in South Jersey. Nobody even knew what Korean food was or really who a Korean person was. I showed up and had to make friends and meet people who didn’t have a clue about my culture. They would ask, “Are you Chinese or Japanese?” They knew what Chinese food was, they knew about sushi, but no one knew about Korean. Food was a way to connect my culture with other people. I made friends who were curious about the culture by connecting through food. With my food truck, that is what I am trying to do. To connect Korean culture with other people and cultures, through my food. If you could give a piece of advice to people “stuck behind the desk”, wanting to get out from behind it, what would it be? Nobody has ever been successful or accomplished what they really wanted to do in life by making excuses and asking that question. You have to take a risk and at the very least, you fall back on what you did before for a little bit… until you figure things out again. There is nothing wrong with failing. You learn from it. You do it better next time, until you eventually get to where you want to be. Has Roy tried your food yet? I don’t know if he remembers exactly who I am, but I posted a picture of us on instagram from when I met him and said that meeting him was my inspiration to do this. He liked it! I also congratulated him on his TV show on CNN and he favorited it. I don’t know. Maybe he will come to Philly one day. What would you serve him and what would you say to him? Dave Song is an ex-finance guy, wannabe entrepreneur, guy that likes to cook and share his love for food with other people. The food is creative and has a co-mingled flavor. I absolutely LOVED the pulled pork!!!! Consider a Reuben sandwich with kim chee instead of sauerkraut! I just noticed that kim chee is rich in iron too.